At Hridaya Yoga, we invite you to live with an Open Heart and discover your life’s potential. Through meditation sessions, Hatha Yoga classes, silent meditation retreats, and daily life awareness practices, we share a path for the revelation of the Self and a way to live a life of joy, compassion, and gratitude. This is the path of the Spiritual Heart. Hridaya Meditation is based on the Indian tradition of Advaita Vedanta, as taught by the great 20th-century sage Ramana Maharshi and shared by Sahajananda, one of the leading meditation teachers in the world today. This practice gives a higher perspective on your own inner experience. It brings freedom from your mind’s turmoil and reconnection with the primordial nature of awareness, which is spaciousness and love. 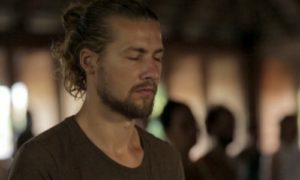 Hridaya Hatha Yoga is a unique style developed by Sahajananda. It presents traditional spiritual principles in a manner that is accessible to modern practitioners. Although the way we practice yoga strengthens and stretches the body, it emphasizes calmness, cultivating awareness, and energetic balance. In a beautiful synthesis of asanas, meditation, and awareness, physical practice becomes a blissful expansion of consciousness. Our transformative Hridaya Yoga Retreats, a series that begins with the 20-day Module 1 Intensive, offer you a powerful introduction to the principles and practices of traditional Hatha Yoga and meditation. Our 3– and 10-Day Hridaya Silent Meditation Retreats give you the opportunity to develop a deeper and more intimate connection with the Spiritual Heart, the very core of your being. This awareness allows you to enjoy happiness and peace wherever you are, no matter the conditions. Our retreats allow you to directly experience the profound inner transformation that meditation brings. 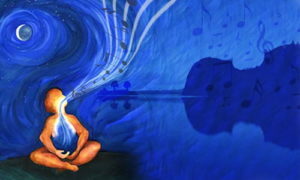 During your time in silence, you will explore many aspects of the Spiritual Heart. Practices are drawn from a variety of traditions, including yoga, Buddhism, and Sufism. No previous meditation or yoga experience is necessary to benefit from a retreat. We warmly invite you to join us on the path of the Spiritual Heart! Hridaya Yoga has two main centers. Our oceanside center in Mazunte, Oaxaca, Mexico is a welcoming space for all those who would like to integrate daily life into spirituality. Join us for inspiring silent meditation retreats, in-depth yoga modules, heart-opening workshops, or our life-changing 3-month, 500-hour Teacher Training Course. Our newly-opened center in the Beaujolais countryside, Hridaya Yoga France, is an expansive and secluded refuge for those who aspire to practice open-hearted living in both a formal and informal way. As in Mexico, a full course program is offered in France. The Hridaya teachings are also shared around the world by our international teachers. You can check out our International Events Calendar to find a course near you.